Playa de Palma , es donde la mayoría de mallorquines van a hacer windsurf. De vez en cuando, en verano puede soplar levante fuerte.y en invierno sobrepasa muchas veces fuerza 5 y 6. Para llegar allí, se coge desde el paseo marítimo la autopista de Santanyí, y luego el desvío hacia Can Pastilla . 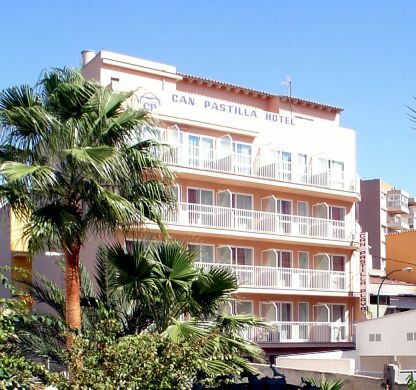 Alli veran Vds.el Hotel Gala , que por su situación es un lugar idoneo para alojarse cerca de la playa , ademas tiene buenos buffets , cafeteria y es el unico cibercafe de la zona. Por otra parte , justo en la esquina del Hotel Miraflores , encontramos la tienda de surf EMBAT , que lleva alli ya muchos años y que le atenderan estupendamente . 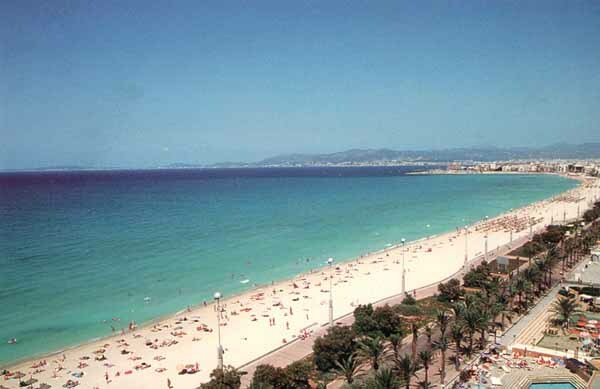 Playa de Palma is where most of mallorcan surfers use to go. There are several surfschools and many specialized surfshops where to buy or rent full surf equipment. To get there through the highway to the airport and take the exit Can Pastilla . There you will find the Hotel Gala , a very nice place where to stay near the beach and practise your favourite sport . In the corner of Hotel Miraflores stays the EMBAT surf shop . 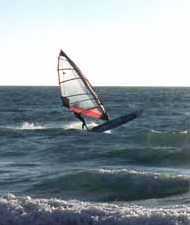 If you like to practise windsurf , Kyte surf , wake , Majorca is your place for holidays and . In the fine sandy beaches around the Balearic Island, you can enjoy many beach volley installations in the same beach and also many tournaments over the last years decided to settle in Playa de Palma or any other beaches in the North and South of our geography. So, if you are thinking to visit the island of Majorca and you love sports , this website offers great information and tips that can help you to organize all the necessary elements easily. With a few clicks you can get a lot of information about how to go to Mallorca, book a hotel or appartment, get some organized excursions, practice different sports, find some recommended restaurants, rent a car, motorbike, cycles, and a lot more activities.